Rosa Psychic is a prestigious, family run psychic business who are very passionately committed to putting you in touch with the best psychics and mediums throughout the UK. 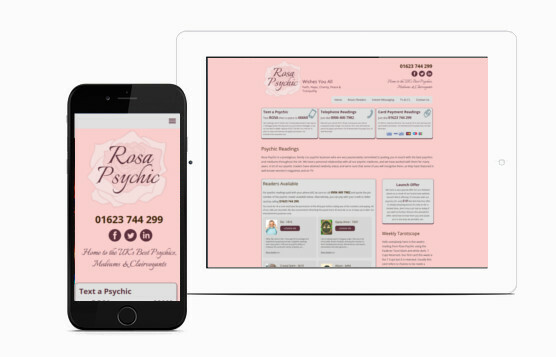 Rosa Psychic already had an established website but they needed it it to more flexible to update and responsive to all devices. The brief for this website was quite strict, it had to keep to the original theme colour palette and make the navigation and maintenance easier. We worked closely with Rosa Psychic to get the look they were looking for and ensured that all the existing functionality of the website which linked with two external systems to display the status of available readers still worked. 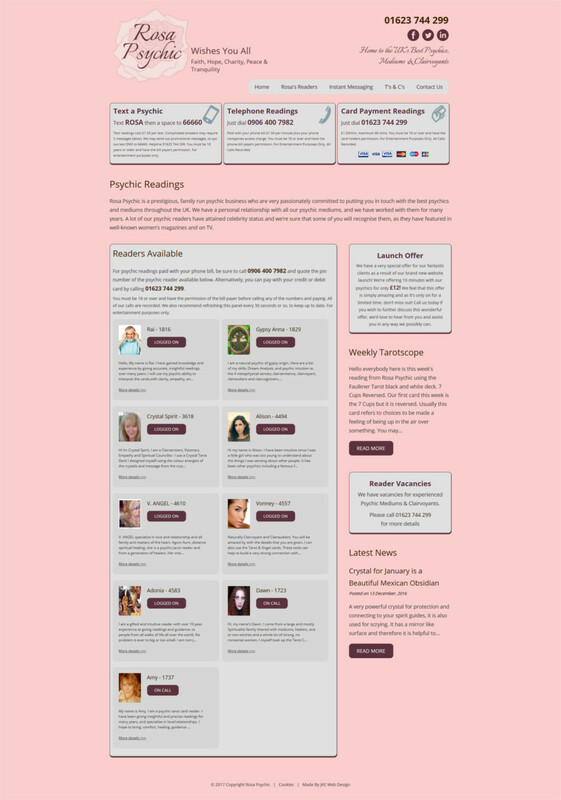 The layout was improved to move the main selling points into view sooner and the usability for visitors was improved by de-clutterring the original design, improving the layout and information displayed and adding regular updated content that can be easily maintained by Rosa Psychic. This site met all the expectations of Rosa Psychic, ticked all the requirements requested at the beginning of the project and allows maintenance to be done in-house rather than needing a web designer to help.